Ta Vitorin Farmhouse Triq Sant Pietru P.O.A. 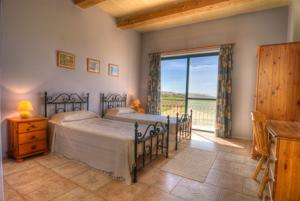 Properties For Sale Gozo Malta Real Estate Agents 4 Bedrooms Farmhouse Property on World Property Portal. EURO 980 MONTHLY For Long lets only. Welcome to Ta\ Vitorin, a wonderful spacious accommodation having a lovely and unique layout. The picturesque view with the lovely pool in the foreground is an unforgettable sight day and night, and could be enjoyed from the deck area as well as from the huge living / dining room and bedrooms uptairs. 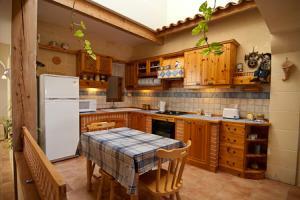 This is a four bedroomed accommodation and can comfortably take up to eight persons. 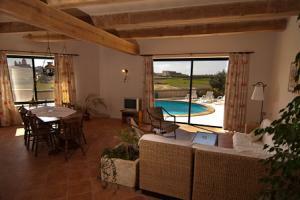 A Residance For All Seasons Ta\ Vitorin is a residence which one could enjoy all the year round. Its location lends itself as a good starting point for walks in the mild winter months and equally so during the lovely spring and autumn days. It would be our pleasure to welcome you to this charming island of Gozo where you can experience for yourselves all that it has to offer during your stay at Ta\ Vitorin. The Premises Upon entering one immediately gets an idea of the expanse of the premises and the unique layout of the living area. Everything has been done with careful thought and taste. Natural light is in abundance and this helps one to appreciate all the features as he strolls through to the living room with its large picture window and \ french door\ leading to the Private Pool and surrounding area and garden. The ground floor also houses one bedroom with an ensuite shower. Indoor plants are in abundance and these give a very lively aspect to the whole premises. Moving up the gentle, wide and winding staircase the characteristic maltese \ loggia\ overlooking the stairwell is very typical. This leads to one of the three bedrooms upstairs which also enjoys an ensuite bathroom. Going past a spacious landing at the other end of the stairs one finds two other bedrooms with balconies overlooking the pool area and garden and enjoying the same lovely country views as the living room downstairs. 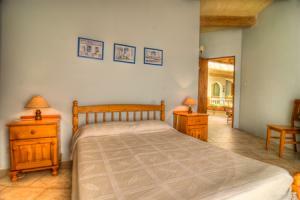 Each of these bedrooms also has its own separate shower and associated facilities. 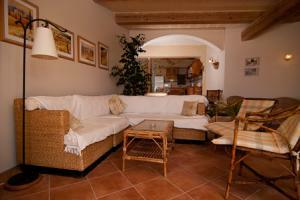 The facilities offered include: The premises are fully furnished including A/C in two bedrooms, telephone, heaters, T.V. This is an advertisement Reference: Private Owner. The advertiser is wholly responsible for the accuracy of the ad information published on WorldPropertyPortal.com and we make no representation as to the accuracy or currency of the information contained within this website. The photos and details content is the sole responsibility of the owner or agent of the property displayed. 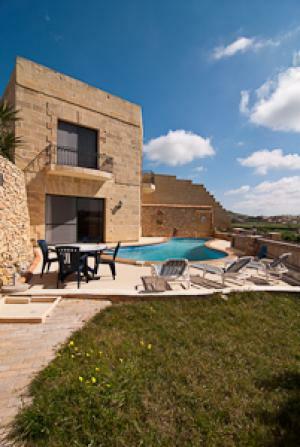 International Real Estate Listings, Luxury Villas, Bargain Repossessions direct from the Banks, Second Homes, Holiday Homes For Sale, Worldwide Investment Gozo Properties, Frontline Beach Front Gharb Properties, Exclusive Penthouses, Plots of Land, Country Houses, Residential United-States-Of-America Real Estate For Sale.